I've been puzzled by an interesting question lately. Why is it that certain cultures are able to eat large amounts of carbohydrate and remain healthy, while others suffer from overweight and disease? How do the pre-industrial Kuna and Kitavans maintain their insulin sensitivity while their bodies are being bombarded by an amount of carbohydrate that makes the average American look like a bowling ball? I read a very interesting post on the Modern Forager yesterday that sent me on a nerd safari through the scientific literature. The paper that inspired the Modern Forager post is a review by Dr. Staffan Lindeberg. In it, he attempts to draw a link between compounds called lectins, found in grains (among other things), and resistance to the hormone leptin. Let's take a step back and go over some background. 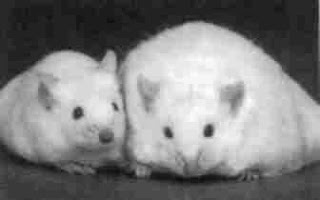 One of the most-studied animal models of obesity is called the "Zucker" rat. This rat has a missense mutation in its leptin receptor gene, causing it to be nonfunctional. Leptin is a hormone that signals satiety, or fullness. It's secreted by fat tissue. The more fat tissue an animal has, the more leptin it secretes. Normally, this creates negative feedback that causes it to eat less when fat begins to accumulate, keeping its weight within a narrow range. Zucker rats secrete leptin just fine, but they lack leptin receptors in their brain. Their blood leptin is high but their brain isn't listening. Thus, the signal to stop eating never gets through and they eat themselves to morbid obesity. Cardiovascular disease and diabetes follow shortly thereafter, unless you remove their visceral fat surgically. The reason Zucker rats are so interesting is they faithfully reproduce so many features of the disease of civilization in humans. They become obese, hypometabolic, develop insulin resistance, impaired glucose tolerance, dyslipidemia, diabetes, and cardiovascular disease. Basically, severe metabolic syndrome. So here's a rat that shows that leptin resistance can cause something that looks a whole heck of a lot like the disease of civilization in humans. For this model to be relevant to us, we'd expect that humans with metabolic syndrome should be leptin-resistant. Well what do you know, administering leptin to obese people doesn't cause satiety like it does in thin people. Furthermore, elevated leptin predicts the onset of obesity and metabolic syndrome. It also predicts insulin resistance. Yes, you read that right, leptin resistance may come before insulin resistance. Interestingly enough, the carbohydrate-loving Kitavans don't get elevated leptin like europeans do, and they don't become overweight, develop insulin dysfunction or the metabolic syndrome either. This all suggests that leptin may be the keystone in the whole disease process, but what accounts for the differences in leptin levels between populations? How come we never see commercials with footage of overweight people, with the voiceover saying, "Ask your doctor if a leptin test is right for you."? Because there's nothing to sell if they find an abnormality!! I'm kidding actually. I think it just isn't a mainstream measure of metabolic health. People aren't aware of leptin dysfunction. The chain of causality also hasn't been proven in humans. Leptin resistance is also a pain to measure. You administer leptin and see how it affects the subjects' appetite, basically. Although elevated leptin may correlate pretty well with resistance. It also correlates tightly with fat mass. Not surprising since it's secreted by fat. I wonder how lifestyle-related factors like sleep, excersize and stress affect leptin levels? I'm guessing that might be discussed in the next post. BTW, Though I'm not involved in the research end of things the lab I work at is involved in related studies. For some patients we test multiple samples to measure leptin, adiponectin, c-pep, insulin, glucose, hdl and ldl. Thanks Matt, I'll check it out. What is the best way to restore human leptin sensitivity? Losing body fat seems to be the easy answer, but given that leptin resistance makes this more difficult, what method of body fat loss would be most effective? Good question. It's a chicken-and-egg problem. Losing leptin sensitivity leads to overweight, but becoming overweight might also reduce leptin sensitivity. I'd be interested to know if anyone has looked for which one comes first, the hyperleptinemia or the fat. I suspect the leptin resistance comes first, because if you aren't leptin resistant your body won't let you eat more calories than it needs to remain at a healthy weight. That's the whole point of the system. Fat goes up, appetite goes down. Something about our modern lifestyle tricks the body into deregulating this system. It could be damage to the small intestine, direct interference with leptin signaling, vitamin deficiency or something neurological like sugar messing up appetite control. Or something else. Any way you slice it, the treatment is the same: grain (esp. wheat) avoidance; carbohydrate restriction; intense, intermittent exercise and/or strength training; intermittent fasting. I think the first two are the most important. If you get back to a weight you like and you have good glucose control, I think it's OK to add back "paleo carbs": starchy root vegetables and starchy fruit. Could it be that leptin resistance develops due to increased triglycerides? This abstract: http://www.ncbi.nlm.nih.gov/pubmed/15111494 states that triglycerides reduce the effectiveness of leptin in crossing the blood brain barrier to communicate satiety. It is known that excess carbohydrate ingestion causes elevated triglycerides. Would a medication that lowers triglycerides, such as Tricor, be an effective way to increase leptin sensitivity? That's an interesting lead; I'll check it out. I think it's an effect that's dependent on something other than macronutrients. Could it be that the speed of action is the key? When high glycemic index carbs are ingested, they are quickly converted into blood glucose, thus quickly increasing triglycerides, which reduce the sensitivity of leptin, so that the signal of satiety is attenuated, thus providing minimal reduction of food ingestion, while the elevated insulin level causes the storage of the excess glucose as adipose tissue. Conversely, when low glycemic index carbs are ingested, they are slowly converted into blood glucose, thus slowly increasing triglycerides, which allow the leptin to signal satiety effectively, thus providing significant reduction of food ingestion, while the lower insulin level does not cause as readily the storage of glucose as adipose tissue. The ingestion of high glycemic index carbs versus paleo carbs could be why the leptin resistance develops in modern society, along with high insulin levels. The faster the digestion of carbs, the higher the leptin and insulin resistance, leading to greater obesity. The higher activity level of the Kitavans would also cause the glucose to be used by and partially stored in the muscles instead of stored as fat. That is a plausible hypothesis. I've been leaning away from it lately though. I've realized that under the right conditions, the pancreas is pretty burly and will dispose of piles of glucose just fine. Yes, it will cause triglycerides to rise but the connection between that and obesity/disease is not straightforward. I'm going to do a post on the Kitavans one of these days; they are very informative in that regard. I'm leaning away from the glycemic load idea (as predictive of disease) but I haven't abandoned it altogether. I'm not sure how useful it is once you take grains (esp gluten) out of the picture. Stephan, thanks for your blog and research. I have had a problem with weight for 38 years. I even had a gastric stapling that didn't work. Tried everything, then 6 weeks ago went on a new product to lower leptin levels and have lost 10 inches off of my waist and 23 lbs. It has also allowed me to sleep better. The product has had double blind clinical studies at UCONN. Check out www.fatloss4tummies.com Perhaps it would help others also. I just checked it out. Unfortunately it didn't say much about the product's composition. All it said was "modified cellulose and cetylated fatty acids". They did see a marginally significant effect of the product in aiding weight loss and hormone normalization during a calorie restriction and exercise regimen. I'd be interested to learn more about what exactly it is and what the mechanism is. I'm inherently distrusting of products like this. But I'm glad it worked for you. Life Extension just launched a new breakthrough weight management product, Integra-Lean Irvingia. This product reverses the resistance to leptin by lowering the level of C-Reactive protein in fat cells. In a clinical trial, Integra-Lean was shown to cause 28 pounds of weight loss in a 10 week clinical trial. This study was presented in October 2008 at the International Functional Foods Conference in Baton Rouge, LA. I don't think that product sounds good at all. It inhibits amylase, which means you can't digest carbohydrate. That sounds like a recipe for abnormal intestinal flora, resulting in gas and potentially more serious GI problems. It basically mimics a low-carb diet. But if you want to get the weight loss benefit of a low-carb diet, why not just eat a low-carb diet? I think knowaging was attempting to plug a product, not a serious reader/commenter. It is a good product. I have been taking it for 4 weeks now. I can say it is very effective. More on my situation at www.drvitaminsolutions.com. Western diets are rich in polyunsaturated fats from corn, soy and fish oils which according to research reduce human leptin mRNA expression both in vivo and in vitro. These very same oils have for years been touted by the medical and food industry as healthy. After decades, they have backed away from the health claims on grain oils and have instead switched to promoting mono unsaturated fats, but the omega-3s are still being pushed as healthy. This would also explain the French paradox. That paper you linked to was about n-3 rather than n-6. It's an interesting result, I wasn't aware of it. Anything that influences leptin is interesting. I think you may be right about the French paradox. And you are also right that nutrition authorities have very quietly backed away from their pro-omega-6 stance. Most people haven't heard the news though. I think they've been timid about promoting it because it's embarrassing. Life Extenstion "leptin resistance" is explained in an article of their January Life Extension Magazine issue. The product sounds like an "earth shaking" product to me. They even advertised it on page 71 of the Newsweek (Dec 15 issue). The clinical trial performed is impressive. You are correct about the inhibiting of amylase, but the more impressive effects are the reduction of C-reactive protein, decrease of adiponectin hormone and the inhibiting of triglyceride formation from sugars. In the end, at this time, is there a real method for reversing leptin resistance? . Do you have any suggestions that you have found are working? I have two ideas for you. One is to try a "paleolithic" diet. 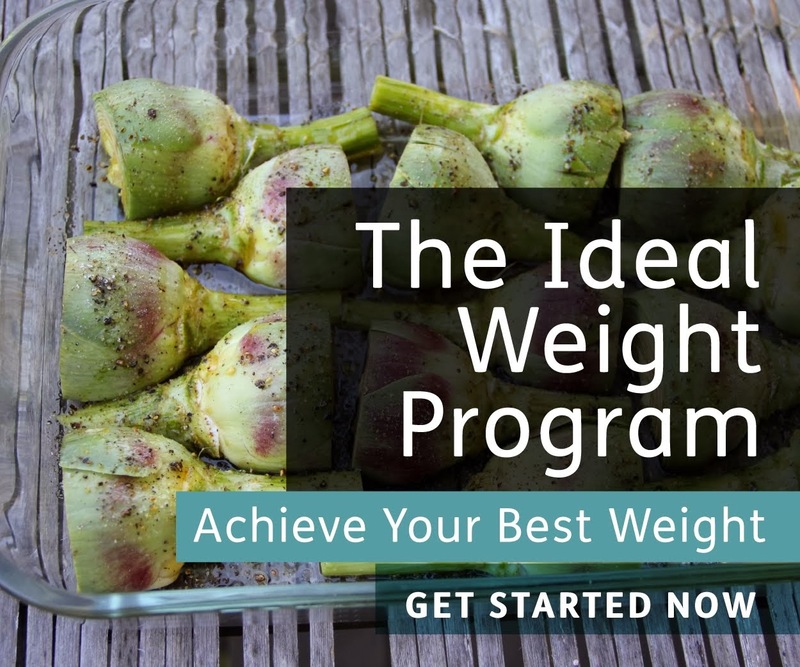 There's a trial that was conducted by Dr. Staffan Lindeberg that showed a reversal of diabetes and pre-diabetes in a number of people using this diet (and a big weight loss). It kicked the crap out of the mediterranean diet he compared it to. I posted on it a while back, you can find it if you click the "Paleolithic diet" tag on my blog sidebar. The other idea is to read "Dr Bernstein's Diabetes Solution", which I've heard glowing reviews of from a number of informed diabetics around the web. Good luck! I have recently had extensive blood work done which indicated that i have twice the normal level of leptin resistance. I am 24, female, eat-and have my whole life: a plant rich, dairy, and wheat free diet. I have never drastically changed my diet in any way and never eat processed food. I have always been active and exercise 4-5 x per week: Yoga, Pilates, long distance running. Just over a year ago, i gained 15kg without any explanation (i critiqued everything i ate and it didn't add up!) and am still having difficulty trying to lose the weight. Since the only articles i can find about leptin resistance treatment are exclusively for obese individuals, do you know-or have you heard of any treatments that i would be a candidate for? That sounds like a frustrating situation! I have some thoughts for you. Possible remaining culprits: sugar, excess omega-6, carbohydrate intake in excess of what your body can handle. Maybe stress/lack of sleep as well. You said you eat a plant-rich diet. That could be part of the problem. Not that I have anything against plant based diets in principle, but it takes more effort and knowledge to eat well on a predominantly plant-based diet, especially if you avoid dairy. Are you eating a lot of whole grains and legumes? I dont eat any sugar and only eat fruit occasionally. So the only place i get my carbs from are vegetables (not corn or potatoes) and a slice of essene bread for breakfast. I do eat fish and turkey as my protein sources as well as flax, so omega 6 could be a contributing factor. I also dont drink coffee or any diet softdrinks, juices etc. I do consume approx 3.5L of water a day because of my exercise routine. I get tonnes of sleep-upward of 9hrs a night and am rarely stressed. I am on the upper values for normal on the BMI chart, so it still doesnt make sense as to why i have such a high leptin resistance reading when i am not eating bags of chips and living a sedentary lifestyle. A couple more thoughts. How do you know you're leptin resistant? Assuming you truly are leptin resistant, it means your body doesn't like something about your diet and/or lifestyle. Leptin resistance to me suggests diet mostly. Have you considered that the essene bread could be the problem? Maybe you're gluten intolerant or the lectins in the uncooked grains/legumes aren't going down well. Cutting out grain carbs seems to work wonders for leptin resistance (I think it's the wheat personally). You may also benefit from more saturated fat. It sounds like your fats are mostly PUFA in the form of fish, poultry and flax. Coconut oil and butter/ghee are good. Another possibility in my opinion is that you're over-exercising. Too much cardio can sometimes lead to weight gain. You make the common mistake that GI is connected with TIME (ie high GI foods are fast acting, low GI foods slow). As far as I'm aware GI is only concerned with the height of blood sugar 1 hour after ingestion. People don't realize that pasta, which has a relatively low GI, elevates blood sugar for quite a long time. The link to the paper from "predicts the onset of obesity and metabolic syndrome" near the end of the post links through the UW system. Leptin resistance is not a "pain to measure". It CANNOT be measured! It has no definition. It is a vague tautological concept for bloggers to explain obesity. Insulin resistance, by contrast, has a definition and can be quantitatively measured at a whole-body level, and sometimes in more specific tissues. We do not know what it is at the cellular level (although there are theories). But it is a meaningfully quantifiable parameter. This is NOT science -- it is BS. I don't have a problem with people discussing hypothetical parameters when these are first described as such. But otherwise the discussion is nonsense -- fraud and delusion. Hate to break it to you Ken, but we measure leptin resistance all the time in labs like mine. 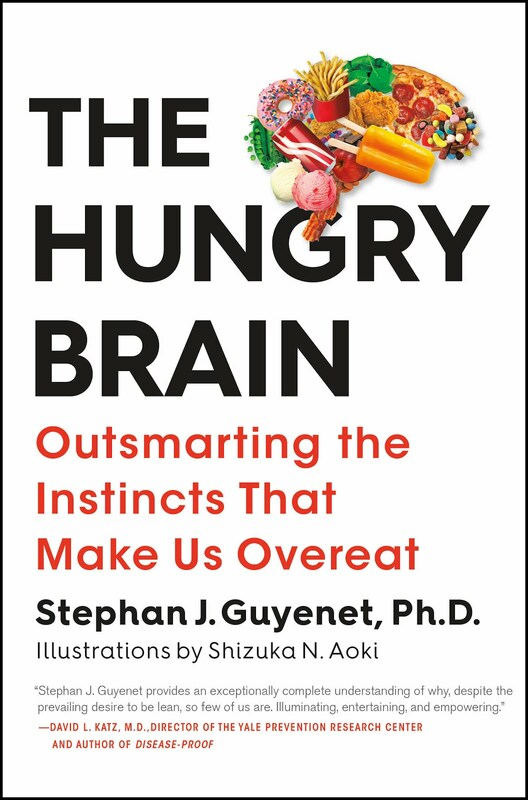 You administer a dose of leptin, and either look at feeding behavior or STAT3 activation in the hypothalamus. You seem to have pretty strong opinions for someone who doesn't know the first thing about leptin research. I've been studying lectins for years, and two weeks ago someone asked me about leptins. I had never heard of them. I've started learning about leptins, and your article has really helped me to fill in a few blanks and connect some dots. I need to correct the plural reference to leptin in my previous statement, above. Thank you for your work and well researched information. Late to this article, but I remembered reading sometime ago about connections between lectins, leptins and grains via Mark Sisson's site. He points to a piece of research that may elucidate further if you have not already seen it. A link to it is below. I have read elsewhere as I recall about lectins effecting the permeability and function of the intestine, which in turn may effect the inflammatory factor you have mentioned elsewhere. You would know much more about this than I. I have been pretty persuaded by some of the information thus far. I am basically an informed layman nerd but with some medical nursing training. Retired now, seeking to keep weight in check and as often found, difficult to do in later life. Thank you again.